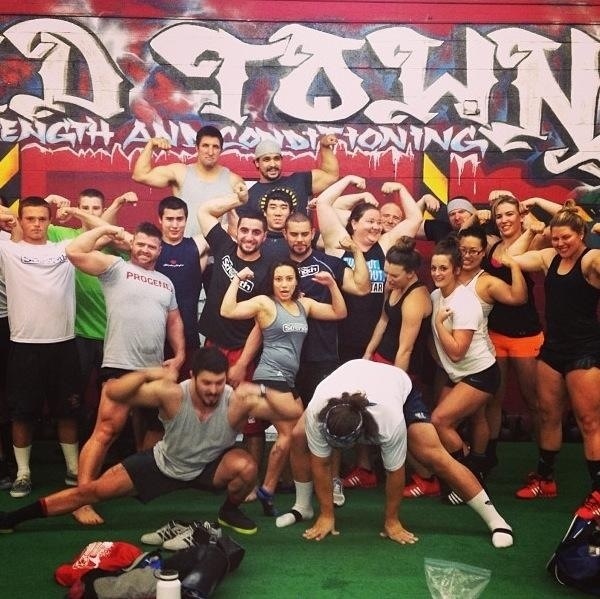 The ENTIRE California Strength crew as well as our usual Sac State visitors joined us last night for heavy Friday. It was a proud moment for me. To see the platforms filled to the brim with not only my team but two other ones was just unreal. To put it plainly, it was a huge sesh, brah. I didn’t have the greatest day of lifting but the general mood of the gym was electric. Thanks for visiting, guys. Video incoming. Because if it’s not posted on tha youtubez, it never happened. Who’s the asian dude on your shirt? No idea. But his head is huge.